Dr Egmont Foth has more than 30 years of professional experience in numerous management positions in industry. Since July 2017, he has been CIO & CTO for Germany and Central Europe at SPIE, the independent European market leader for multi-technical services in the fields of energy and communications. His responsibilities include procurement, information technology, business process management and digitalization. He is the author of several books, including the book "Success factors for a digital future: IT management in times of digitalization and industry 4.0", which was published 2017, and multiple award winner of the CIO of the year election organized by CW and CIO magazine. 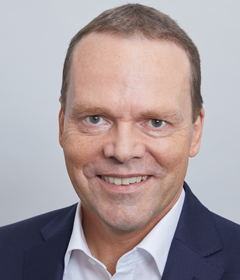 In 2019, he focuses on improving the customer experience with digital solutions in close cooperation with customers, increasing operational excellence by adapting to changing markets and digitally transforming operational processes, improving administration efficiency using SAP S/4 HANA, UCC and O365, and integrating acquired companies. SPIE Deutschland & Zentraleuropa, a subsidiary of the SPIE group, the independent European leader in multi-technical services in the areas of energy and communications, is the leading multi-technical service provider for buildings, facilities and infrastructure in Germany, Austria, Poland, Czech Republic, Slovakia and Hungary. Its service range encompasses technical facility management, energy-efficiency solutions, technical services for the transmission and distribution of energy and for industrial clients as well as in the areas of electrical and security technology, HVAC technology and information and communications technology. SPIE Deutschland & Zentraleuropa has 15,000 employees in over 200 locations. With more than 46,500 employees and a strong local presence, SPIE achieved in 2017 consolidated revenues of €6.1 billion and consolidated EBITA of €388 million.